An Oliver winery has been recognized for promoting the health and safety of its workers. 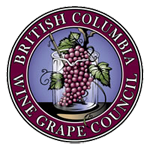 Tinhorn Creek Vineyards recently received Canada’s Safest Employers Award, 2016 in the hospitality category. From vineyard farming to winemaking production, outdoor events, guided hikes and summer concerts, Tinhorn Creek welcomes some 60,000 visitors a year who want to see it all up close. The company’s rigorous health and safety programs have to address broad concerns including things like over consumption, rattlesnake encounters, heat stroke and tractor safety. Oldfield's hope is that the recognition for Tinhorn Creek will spur other wineries to think about their safety programs and make changes that benefit employees in the industry.